KATHMANDU, Nov 12: Miffed at the government's repeated failure to implement the agreements reached with him on various issues related to medical education reforms, Dr Govinda KC has decided to launch a fresh hunger strike if his ultimatum to implement the deals is ignored.Close aides of Dr KC, senior orthopedic surgeon and professor at the Institute of Medicine (IOM), said he will stage his 16th hunger strike if the past deals reached with him are not implemented within a three-week deadline. 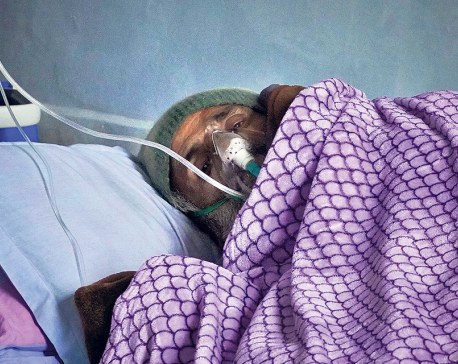 Dr KC is preparing to issue the deadline by Wednesday.Fifteen weeks have passed since the latest agreement between Dr KC and the government was signed. Though the two sides had agreed to implement the deal within two to nine weeks of the signing of the agreement, the government has done nothing to address his major demands. 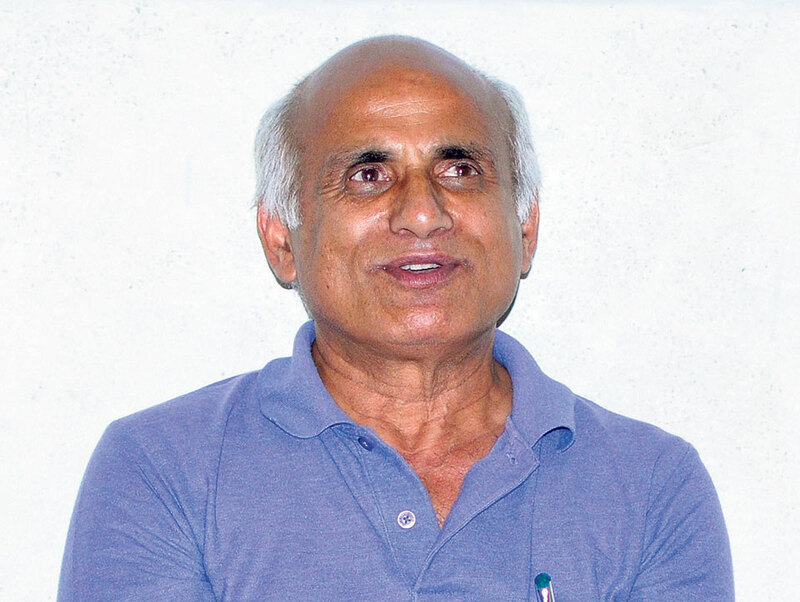 Dr KC and his team have been suspicious about the intention of the government after none of the government agencies concerned took any initiative to honor the agreements meant for bringing reforms in Nepal's medical education sector. Lambasting Education Minister Giriraj Mani Pokharel, Dr KC accused the government of working in collusion with crooked mafia and brokers instead of working for the greater cause of ordinary people. "Politics is a service for people and nation but our politicians are busy making money," he said. "I have been fighting for the cause of people. I am ready to die but will not stop my movement which for the sake of the ordinary people." None of the major demands that the government promised to fulfill earlier have been addressed yet, said advocate Om Prakash Aryal, who is one of the members of the talks team formed on behalf of Dr KC. 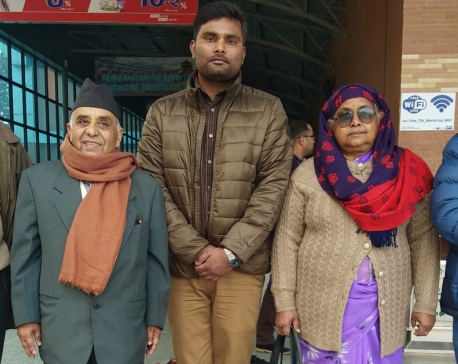 "Bringing National Health Education Act and taking action against 43 officials who were involved in irregularities while issuing affiliation to medical colleges were among the major demands raised by Dr KC," said Aryal. "However, no progress has been made yet on these two demands. "A nine-point agreement signed between the government and Dr KC on July 26 (Thursday) on the 27th day of his 15th fast-unto-death includes the formation of a high level commission and formulation of Medical Education Act addressing all the demands raised by Dr KC, who staged hunger strikes for over 190 days since 2012, demanding reforms in the medical education sector. All demands of Dr KC were addressed in the latest agreement.During his 15th hunger strike, Dr KC presented a seven-point demand including bringing Medical Education Act without any major change in the Medical Education Bill registered in parliament, immediate starting of MBBS classes at Karnali Academy of Health Sciences, immediate publicizing of report of medical probe commission led by Gauri Bahadur Karki and taking action against 43 culprits, revoking the ban on staging protest at Maitighar and scraping Tribhuvan University's decision that 'snatched away IOM's autonomy. Similarly, his other demands are implementation of the report prepared by the officials standard determination committee headed by chairperson of the University Grants Commission, compulsory service of two years for MD scholarship students, free MD classes in all private medical colleges, opening government medical colleges in Province 2, Panchthar-Ilam, Dadeldhura-Doti, Udayapur, and forwarding works at Rapti Academy of Health Sciences and Geta Medical College. The government initiated to address a few demands raised by Dr KC including formation of committees about determining standards of medical academies and Karnali Academy of Health Sciences, said Aryal. "But it has failed to provide progress reports of the implemented agreements," he said. Ministry for Education, Science and Technology, Pokharel, however, said that the government is sincerely working to address Dr KC's demands. "The Health Education Bill will be approved by parliament in the upcoming session," he said. "We are holding legal discussions to take action against the 43 officials as recommended by the Karki committee," he said.